Our team consists of experienced staff with a vast understanding of taxation and finance. We work proactively as required by every individual or business to improve your existing tax affairs. 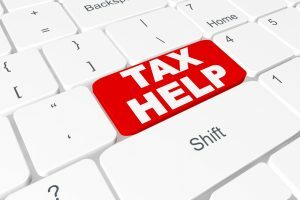 Our experience can help resolve tax related issues in a quicker and efficient manner. Thus letting you focus on growing your business . Call us to discuss your annual tax returns. Irrespective of your company size, we aim to provide you with a tax efficient business structure. Your requirements will addressed in depth regardless of you being a renowned company or a start-up. Minor changes can accelerate the profit margin, reduce tax exemption and safeguard your future. If your business is new, we can assess its position and the tax reliefs provided by the Enterprise Investment Scheme (EIS). This is done to determine whether the business will benefit from it. In conclusion if EIS is applicable to the new business, we will plan accordingly and ensure you get the most of it. We, at Miranda Management and Accountancy Services Ltd, review the capital expenditures of our clients thoroughly and closely. As a result of that we are able to extract maximum benefit for our clients and in doing so improve their tax position. While at times clients look for the best possible way to finance their car or an entire fleet for their organisation. There are wide variety of options. Various factors which come into play and the potential benefit-in-kind implications can be considered. Therefore we work with our utmost experience to find the most suitable car policy for your organisation. Probably most important is our advise to you about remuneration packages and structures to ensure the profit generation process of your company. To ensure tax efficiency we pay attention to fine details and work with you towards an efficient annual tax return. Furthermore you may already be aware, VAT or Value Added Tax is an ongoing major issue for any VAT-registered business. Miranda Management and Accountancy Services Ltd is here to take away the complications that come along with VAT. Miranda Management and Accountancy Services LTD Ltd will be happy to assist you with your quarterly VAT returns or offering advice. In conclusion our advice ranges from simplifying the VAT issue, transaction, property purchase or sale.